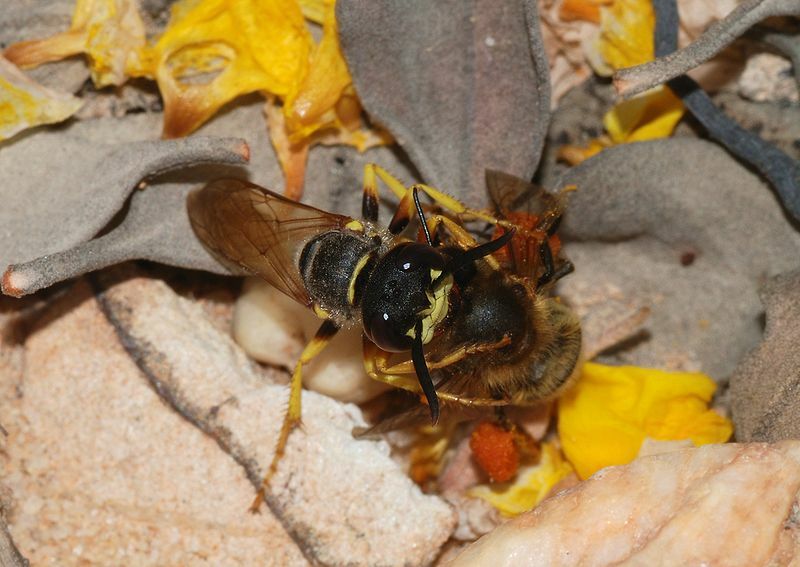 The Bee-Killer Wasp Philanthus triangulum or ‘Bee-Wolf’ as it is sometimes known was once only common in Suffolk and along the southern edges of our island, however with the change in climate it has begun to spread throughout the southern regions of the UK. As its name suggests it does kill bees, but not immediately – they are paralysed by venom and carried back to the nesting site. Even though it only takes honey bees, Bee-wolves are in no way responsible for the recent crash in honey bee populations. Adult Bee-wolfs feed on energy rich nectar, its quarry is solely for its young to feed upon in the nesting chamber. We have once been called out to a ‘wasps nest’ to discover it was in fact a small colony of Bee-Killer wasps, no action was taken and none is recommended, these are fascinating creatures to watch and pose no real risk to humans (do not pick one up and squeeze it though!). 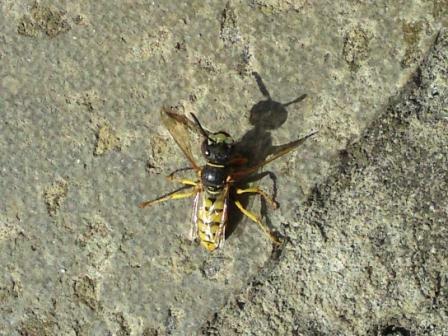 If you are fortunate to discover a colony of these bees take some time to admire they’re complex and interesting lives. 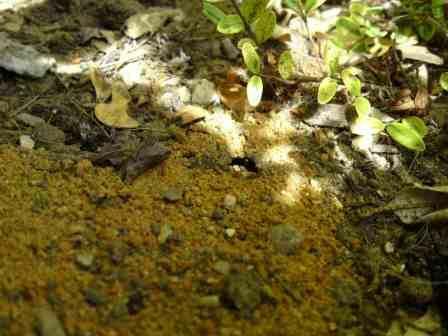 Although solitary the Bee-wolf lives in loose colonies choosing sandy soil to construct deep tunnels down to its nesting chamber. The males of the species sit sentry on own territories (which are only 25 cm square) and they will protect these vigorously with mid-air non-contact battles with other intruding males. 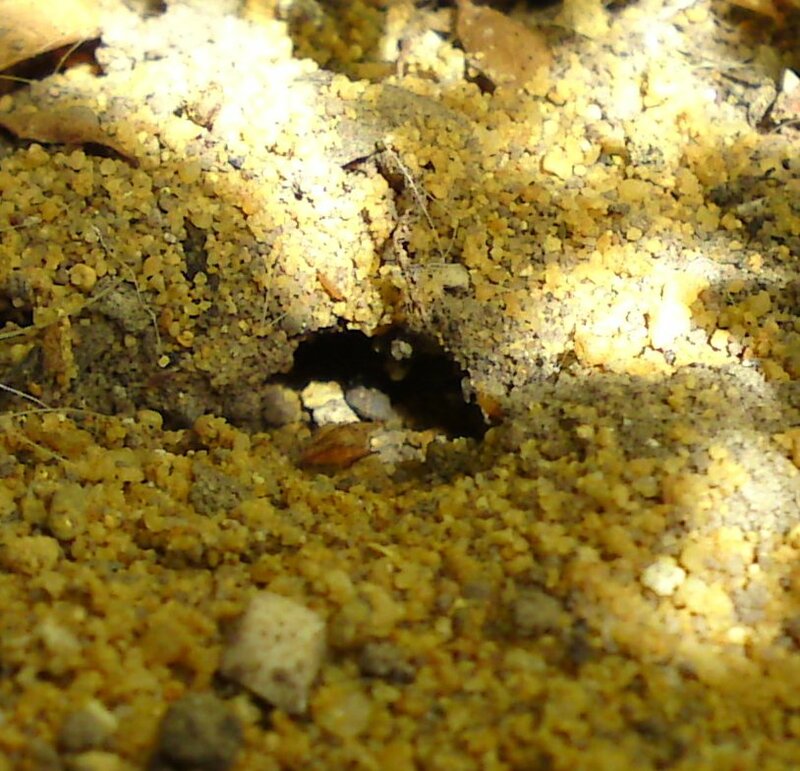 It is here in the sandy soil where females will excavate a number of tunnels and lay a single egg, storing as many as five paralysed honey bees as a fresh larder for the the larvae to fee upon once hatched. The eggs are laid in the summer and will metamorphosis into larvae then pupate, over wintering in the chamber until hatching out the following spring as a young adult.